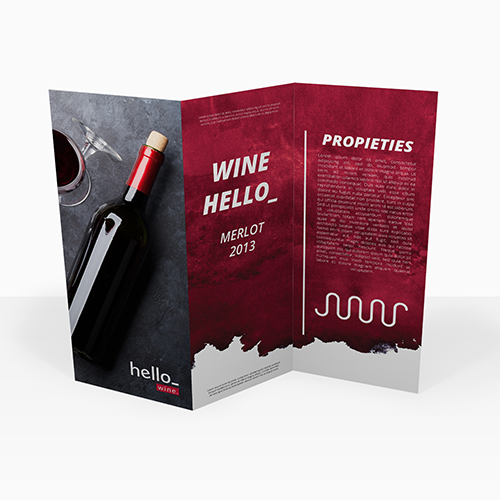 Add to the look and feel of your bar or restaurant with Helloprint's Z-fold Menus. 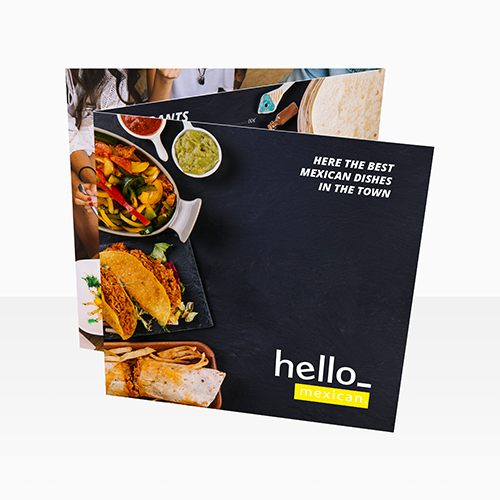 Is your menu mainly text? Then we'd suggest going with a matt finish for the ideal result! 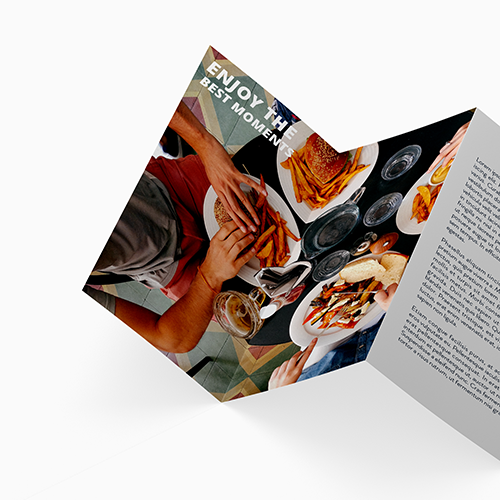 Want to entice your customer's hungry tummies? 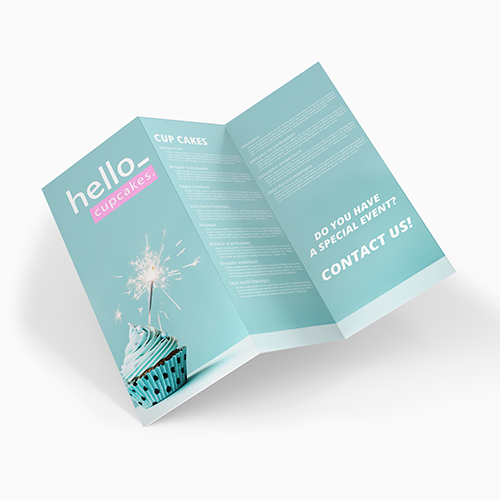 Go for a glossy material that is visually stunning, mouth-watering some would say. 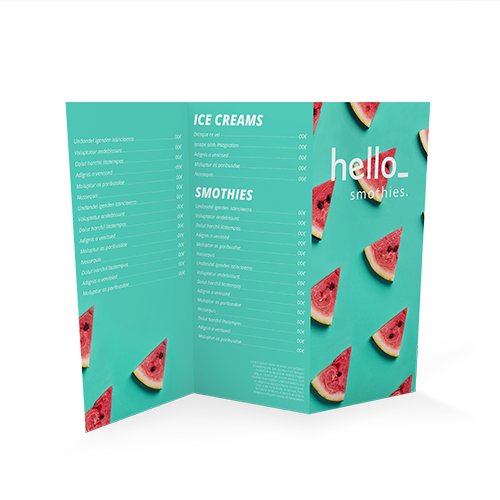 With our competitive price list and easy options, you're sure to end up with a menu that's custom to your workspace!